Published February 1, 2017 at 285 × 216 in Spafinder. 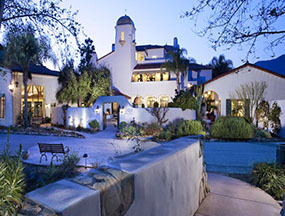 Spa Ojai Village, located on the resort grounds, offers personalized treatments, a Mind & Body Studio, Artist Cottage & Apothecary, and a health-conscious Café Verde. Other dining options include Jimmy’s Pub, Oak Grill, Herb Garden Bistro, Swim Club Café, Joe ‘n Go, and the signature Maravilla.